The 2017 Fraser Valley growing season started quite late; there was snow on the ground in patches through April and it didn’t get very warm at all. Then it started to rain and didn’t stop well into June. Along came the start of summer on June 21st and, like a switch thrown, summer hit us with all its fury. I was supposed to run a trial on drip irrigation and we almost called it off as the ground was so wet. Some fields were, in fact, flooded. It all changed incredibly fast and as I write this in early September, it still hasn’t rained more than a few millimeters—which evaporated before it could do any good. 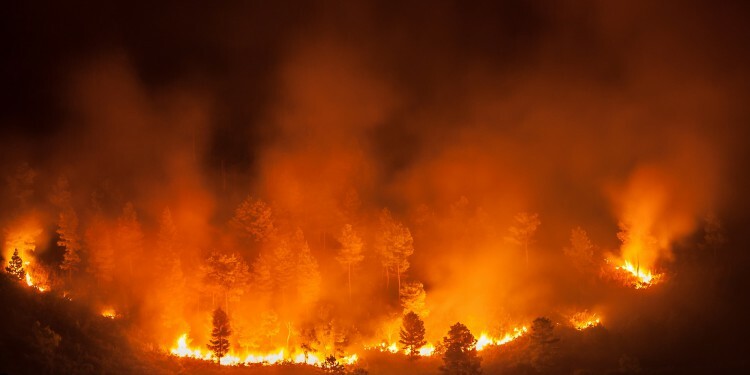 We all saw the videos and pictures of BC’s interior burning up; pretty well a disastrous season all around—But was it, really? Raspberries were harvested before it got really hot and therefore escaped most of the damage that could have occurred, namely white shoulders (turning to jam right on the plants). Irrigation management was tough—to irrigate a lot, but not overdo it. Roots had suffered during the cold, wet weather before summer kicked in, so plants needed to make up root mass and produce fruit at the same time—not a good combination. Our growers, however, are pros—they know how to handle it! The fall-bearing (primocane fruiting) varieties just started in August and are producing in decent weather conditions. SWD counts were fairly low to start with and the hot weather seemed to have subdued them quite a bit. Fungal disease was not and is still not prevalent as conditions were on the dry side. Blueberries were hit hard, and production was considerably down from what we all expected. But the season started out with lack of blooms thanks to the long, warm fall of 2016 which was not conducive to flower initiation. Then, during pollination times, we had most varieties hit good spots but some were dragged down by excessive rain when bees had a tough time flying. While the end results still are far away from being available, we know we are down once more from 2016’s poor showing. The Bluecrop variety was hit especially hard, with the Duke variety also taking some lumps. Many producers after first pick looked at their plants and noticed not much there for a second pick. Plus the season went so fast during the heat that fruit size seems to have been off. Luckily plants and fruit acclimated to the heat and we did not have the usual browning of fruit that happens when a heat wave hits coming out of cool weather. Overall we were lucky and prices also reflected the lack of fruit available on the market. As we were back in the regular season, we did not compete with New Jersey etc., so our market for fresh and processed alike was open to us and we couldn’t fulfill all orders. Strawberries fared well; size was off a bit but they were done before the heat hit, so no real issues. 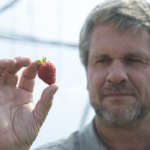 The day-neutral strawberry season started early and fruit quality was excellent and the volume still ongoing as we look at having fresh fruit all the way into October. Blackberries had some real winter damage and on top of that canes and fruit volume were down, but I found we got good size and flavour overall in a rather smallish industry here in BC. Haskap produced late this year thanks to the winter, and pollination was off from previous years but fruit size was exceptional. Perhaps they are better suited for cooler and wetter climates, considering harvesting was done by the end of June. I got to taste an excellent bottle of Haskap wine this year from a new winery and I was impressed with the flavour that I do not get from fresh fruit. Fermentation really becomes that crop! Goji berry season started really late and after an initial struggle to get any growth from the plants, they quickly flowered and started to produce copious amounts of fruit, which is ongoing, likely into September. Black currants were strong right from the start; they too like the cool weather, having been bred mostly in Britain. Excellent fruit of good size was achieved. We saw some grapes getting burnt in the Okanagan, and irrigation turned off with no electricity due to the forest fires. We will just be glad to have had a few rainfalls to wash off some of the ash and to clear out the smoke before harvest commences. Between thunderstorms and rain, the season was interesting and it was amazing to see so much good fruit still being produced in cherries, peaches, nectarines, plum/prunes, and apricots. The apple and pear season is not even close to completion as of writing so we will have to see how that one went in the end. 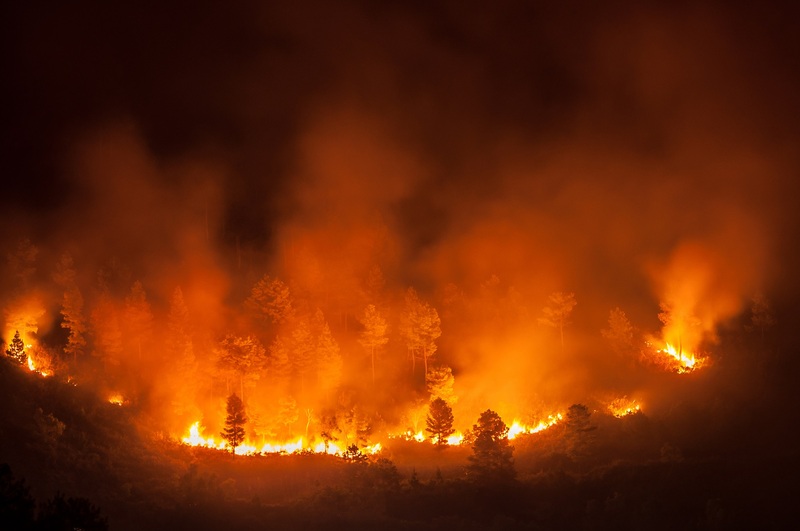 The fires in the Interior destroyed entire orchards, some fields of operations, and made life really miserable with air quality, evacuations, irrigation failure with power outages etc. Not a good year altogether! Overall, we all actually benefitted from the smoke at the coast and elsewhere, as it was the densest when temperatures soared. It protected us from 39 and 40°C days and saved our crops. Nothing much else was good about it. Even irrigation companies struggled to stay ahead of an increased materials demand, as fire crews, private entities and farmers competed for getting as much water power as possible on the ground. I am glad this season is slowly winding down. As eternal optimists we now prepare for the 2018 season. What we saw though this year was all levels of government and other organisations working together to make timely calls on evacuations and crew staffing demands. Our crews, the guests from other provinces and other countries did an outstanding job keeping this fire season from turning into an even worse nightmare than we experienced. Canadian patience paid off and most everyone was safe. Thank you all for doing an outstanding job. Tom Baumann, Expert Agriculture Team Ltd. and Associate Professor in the Agriculture Department at UFV. 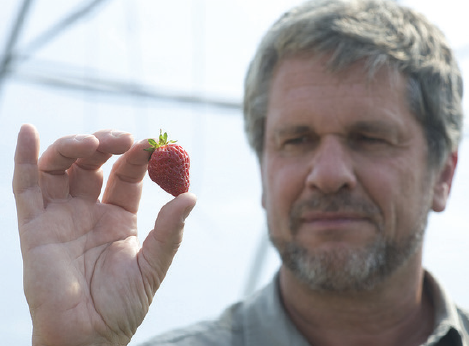 Tom Baumann has spent most of his agriculture career as a horticulturist specializing in berries. His company, Expert Agriculture Team Ltd., provides many services to others including advice, trouble shooting and aids in claim situations. Tom also teaches full-time at UFV Chilliwack as an Associate Professor in the Agriculture Department.